A hallmark of engineers is that they build things in teams with other engineers. At the Hajim School of Engineering and Applied Sciences, we encourage students to enrich their educational experience with team projects that extend beyond the classroom. Student groups may submit proposals for such projects to the Associate Dean’s office and, twice a year, a group of faculty will meet and review these proposals and prioritize them. The Dean then coordinates with Department Chairs to either fund these projects or help find sponsors for them. The proposals need not be elaborate, but should clearly state the project’s education value, include good planning and relevant schedules, and demonstrate team effort. The proposals should be submitted by the end of September or February for the two funding cycles. 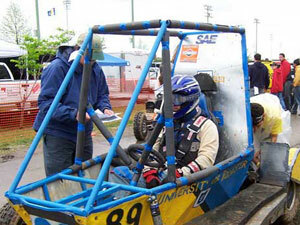 A budget may include items such as parts, supplies, shop costs, and travel for competitions or conferences related to the project.